On the lower lake at camp, boys learn correct paddling technique. Working with a partner in a tandem canoe, campers run the gates course. After mastering skills on the lake, campers move to the Green and Tuckaseegee Rivers to learn river running skills. 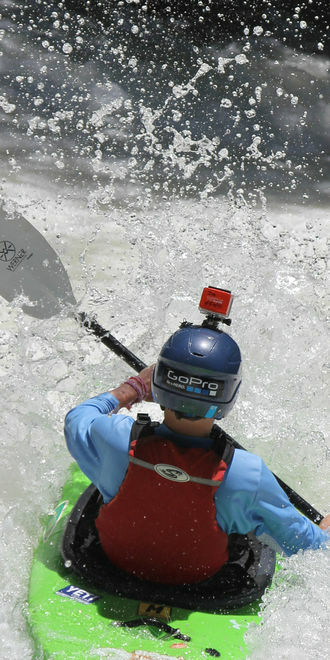 As campers progress, they advance to more challenging rivers like the French Broad and Nantahala. Once a camper has completed his progressions in a tandem canoe, he may continue his whitewater training in a solo canoe, C-1, or kayak.